Welcome to your start to a Healthier Life! Everyone has a point in their life where they have fallen out of shape. Many of us were intimidated to come into the CrossFit gym, or we thought to ourselves, “I can’t do that.” We have been in your shoes and that is why we came up with this brand new course called Couch to CrossFit. By creating a group of like-minded new athletes, we will take you from the front door, through a proper warmup, teach you the skills, coach you in the workout, and help you on your nutrition. 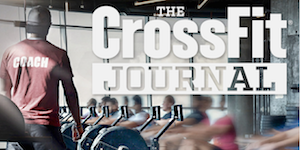 Couch to CrossFit will give you the tools to be successful in our classes that occur every day while taking a slower approach with a welcoming community! Come be a part of the community that is changing lives every day! The Couch to CrossFit program is a one-hour session, on Tuesday and Thursdays (Begins January 8 at 7:30 pm) that will cover fitness, conditioning, strength, and nutrition. Come be a part of the best hour of your day! Our training methodology will get you in the best shape of your life! If you’re ready to feel better, look better, and make the change to a healthier life, click the link below to sign up today!